What a gorgeous day for Easter Sunday! 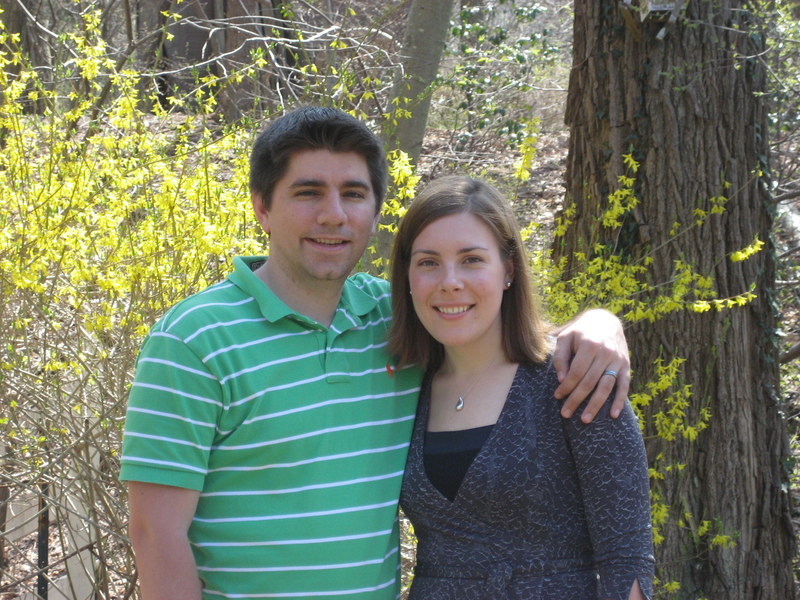 We were on Long Island and it was a bright and sunny 70°! I love this weather, I hope it stays. 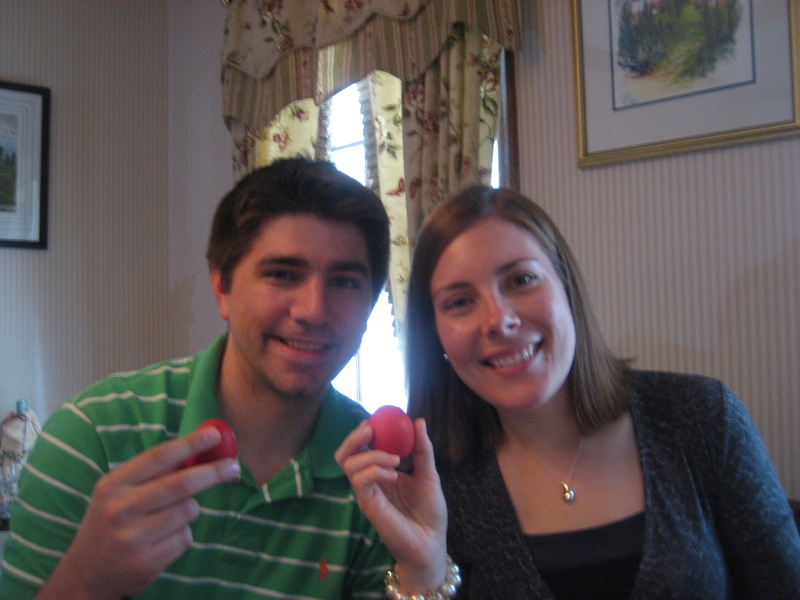 My in-laws hosted Easter dinner yesterday, so we spent the morning preparing for the feast. 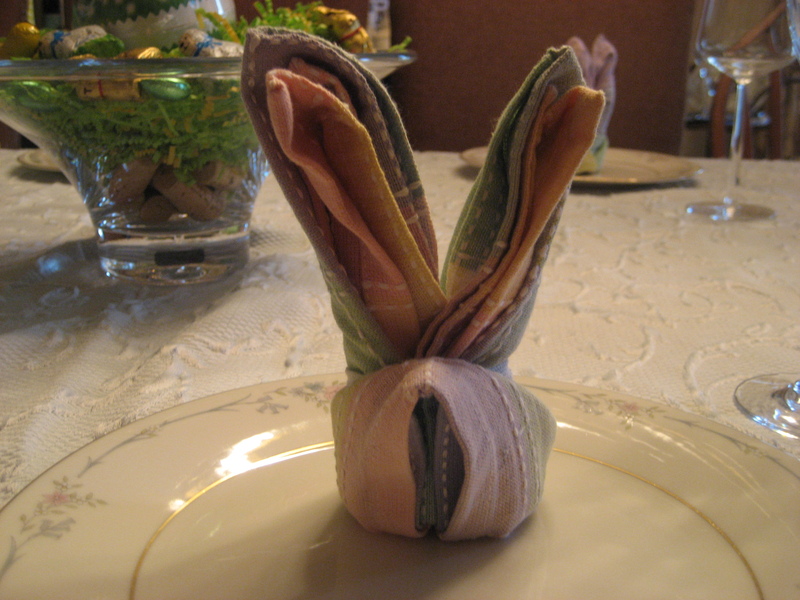 My sister-in-law made the adorable napkin bunnies above! 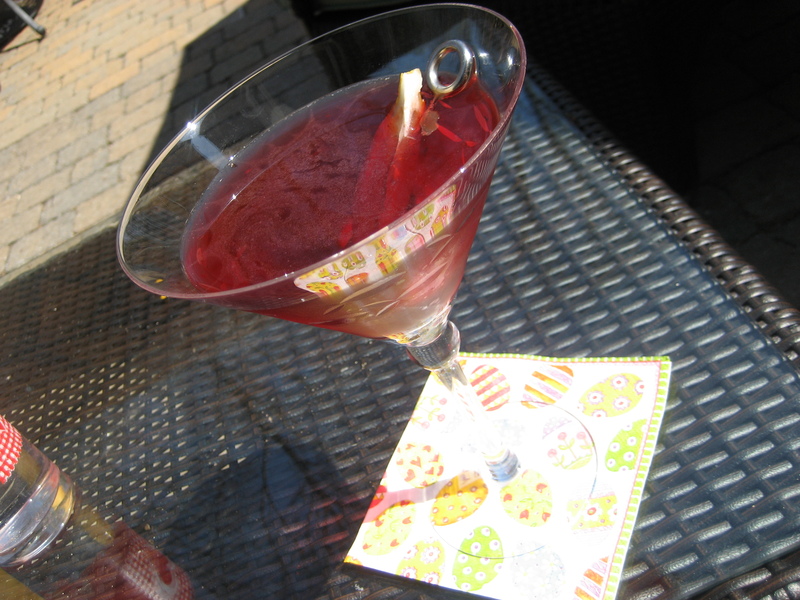 Before we sat down to dinner we enoyed the gorgeous weather and snacked on some Greek appetizers and Pomegranate martini’s. Then we sat down for the feast! 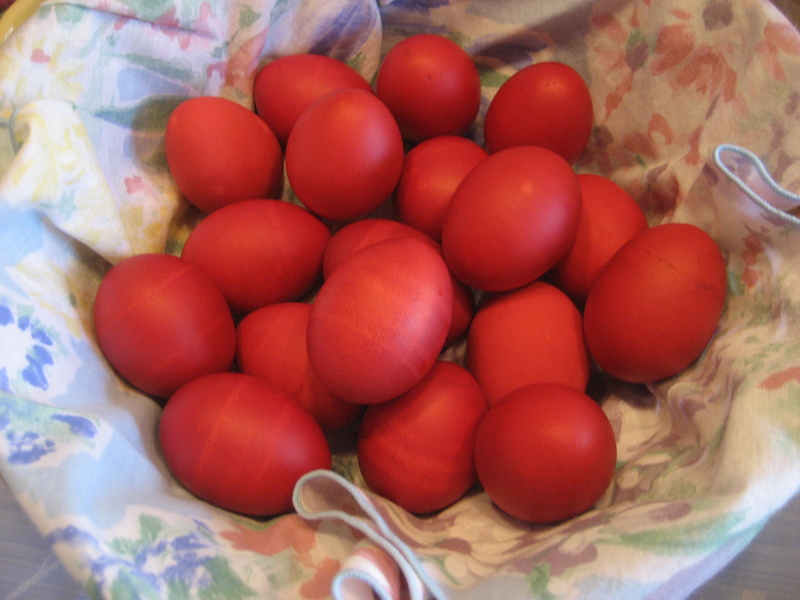 It started, as all Greek Easter’s do, with the red egg tradition. 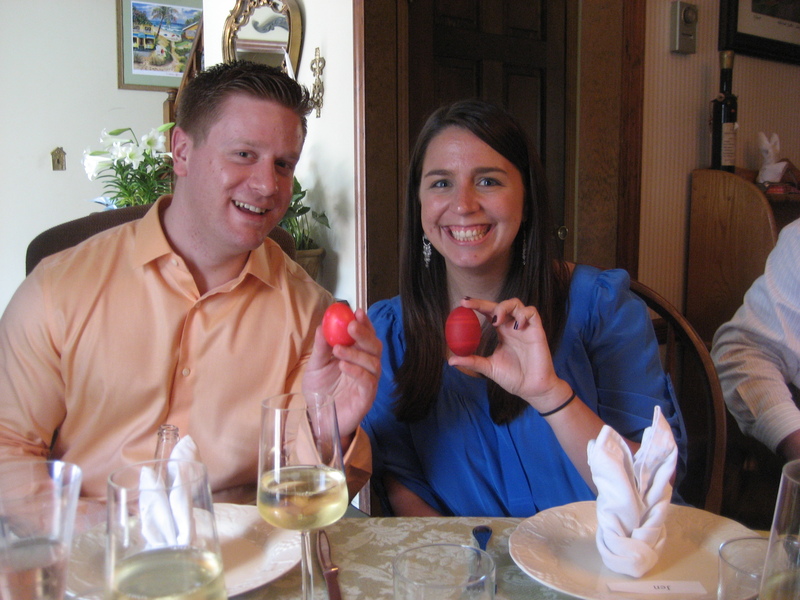 You go around the table and hit each others eggs. Whoever ends up with the egg at the end that is not broken, wins! Brant won! 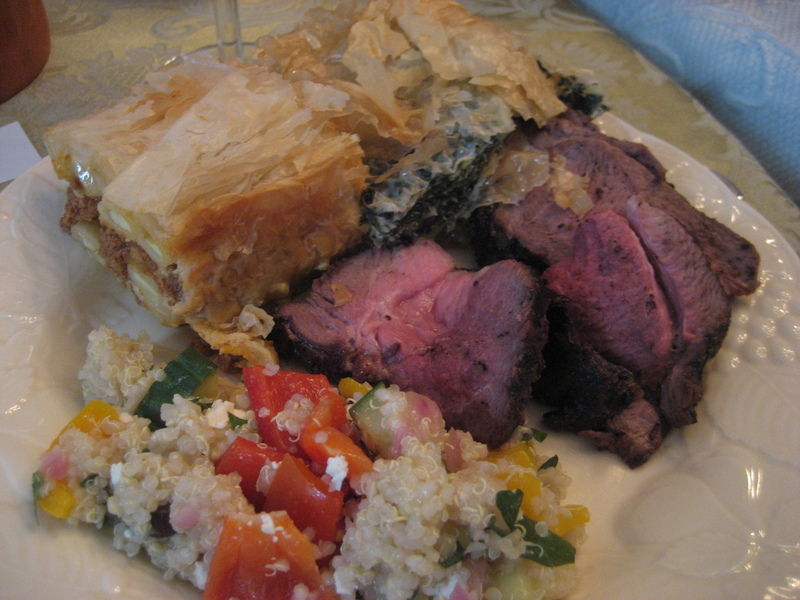 Dinner consisted of Lamb, Pastiche, Mediterranean Salad, Grilled Veggies and Spinach Pie. Yum! 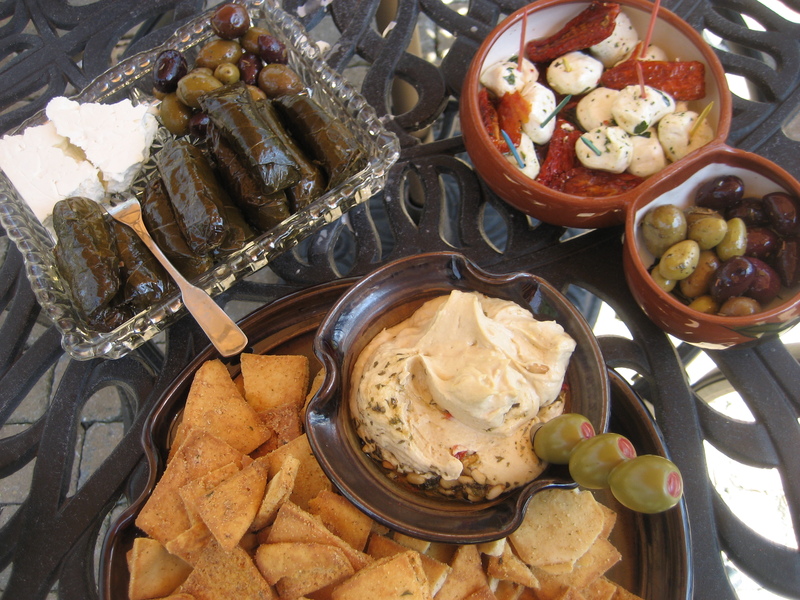 Brant’s plate, with all of the Greek goodies! 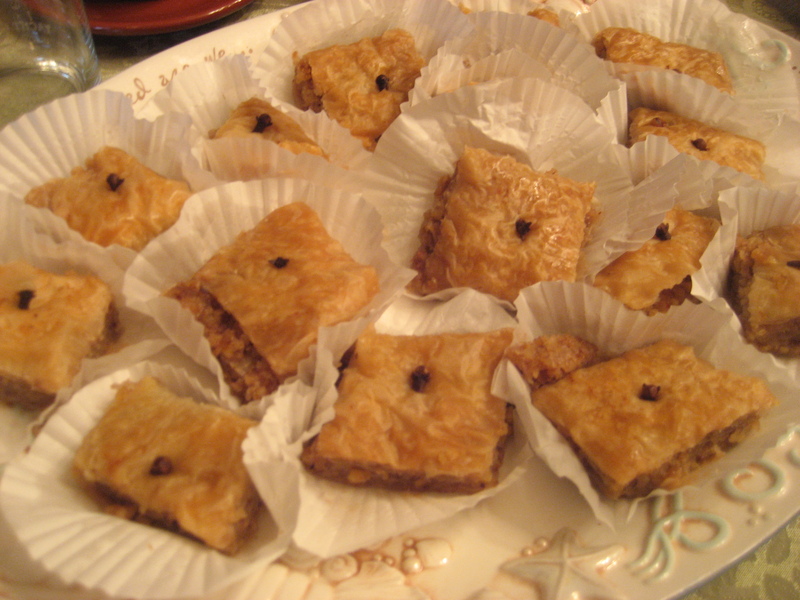 Along with my Mediterranean side dish, I also made a dessert. 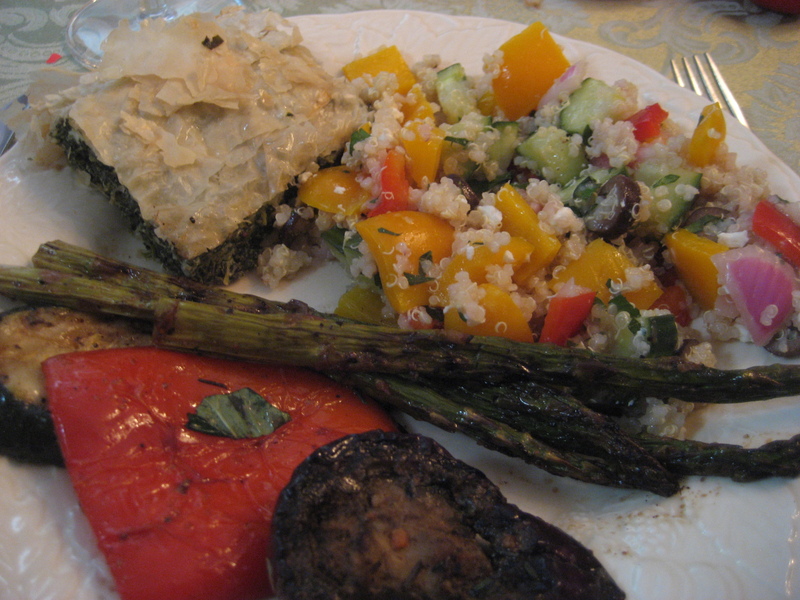 By the way, everyone loved the Quinoa – it is a great dish to make! 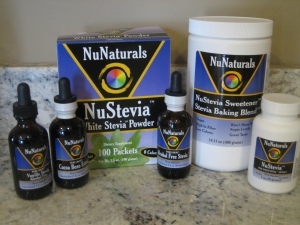 Over a month ago, Ron from NuNaturals sent me some of their Stevia products to try out. 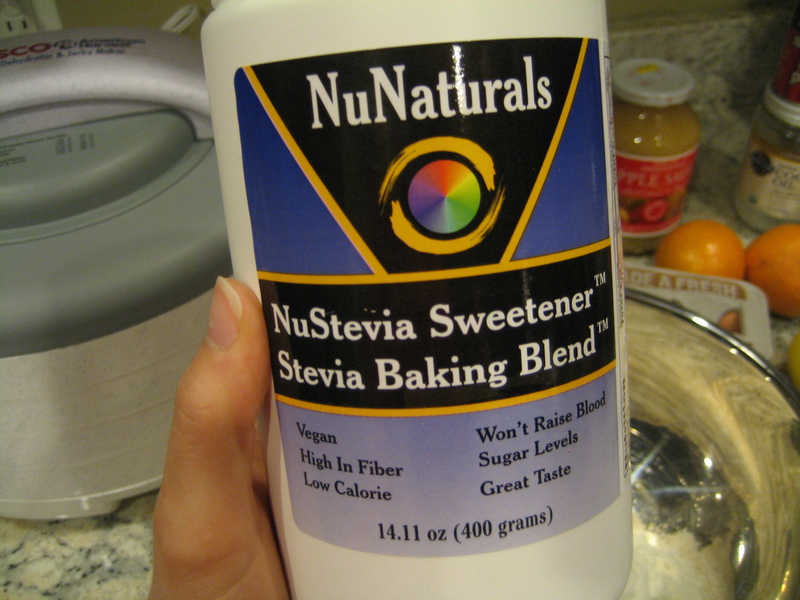 Stevia is a small, bushy shrub whose leaves are very sweet and made into a natural sweetener. It is much much sweeter than table sugar, therefore you only need a tiny bit as a sweetener. To me, it has a slight licorice flavor as an aftertaste. I have been using the liquid sweetener in some of my smoothies (literally, just a drop) and have liked the taste. 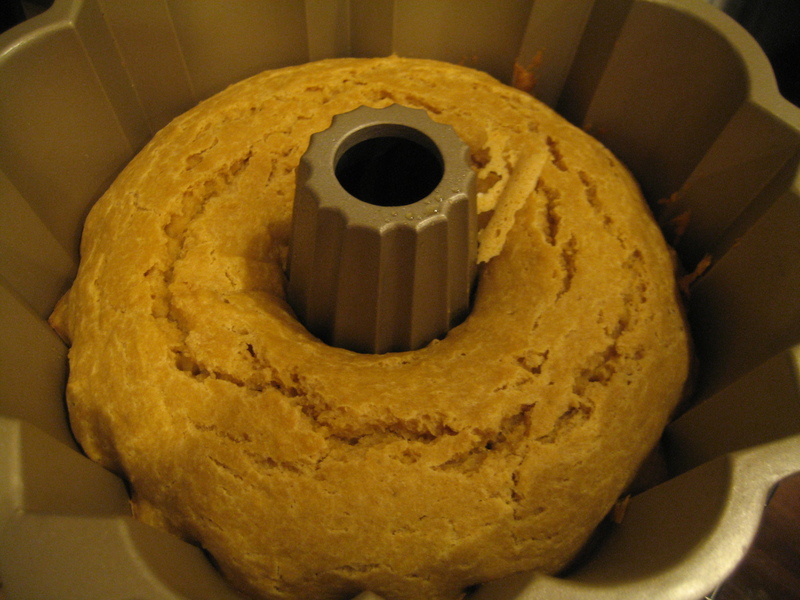 So, I decided to try out the baking blend in this pound cake. 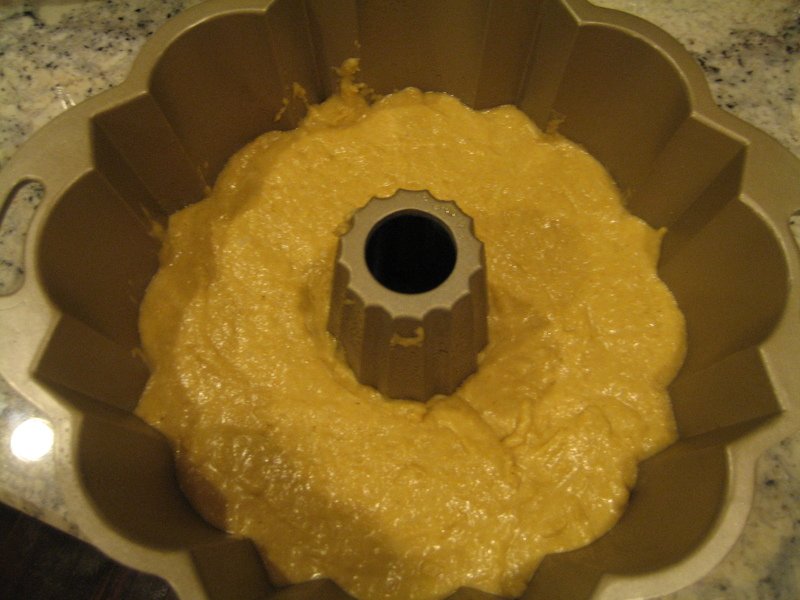 Preheat the oven to 325 degrees and spray a standard bundt pan with nonstick baking spray. 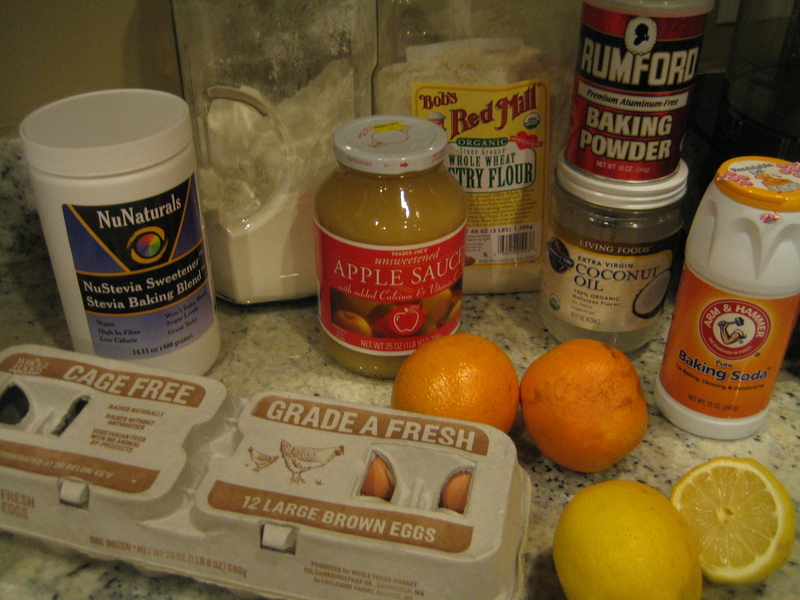 and throw the correct amounts of each into a large mixing bowl. 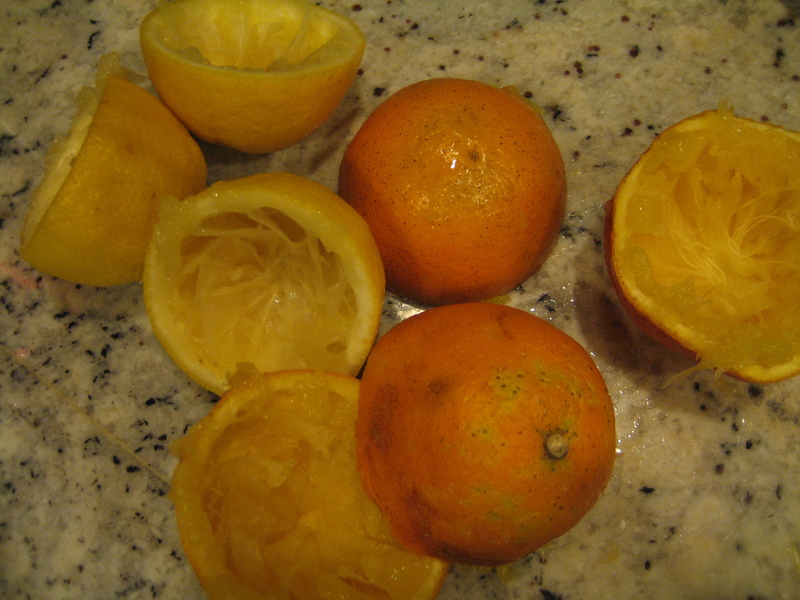 I decided to juice my own oranges and lemons for the cake. 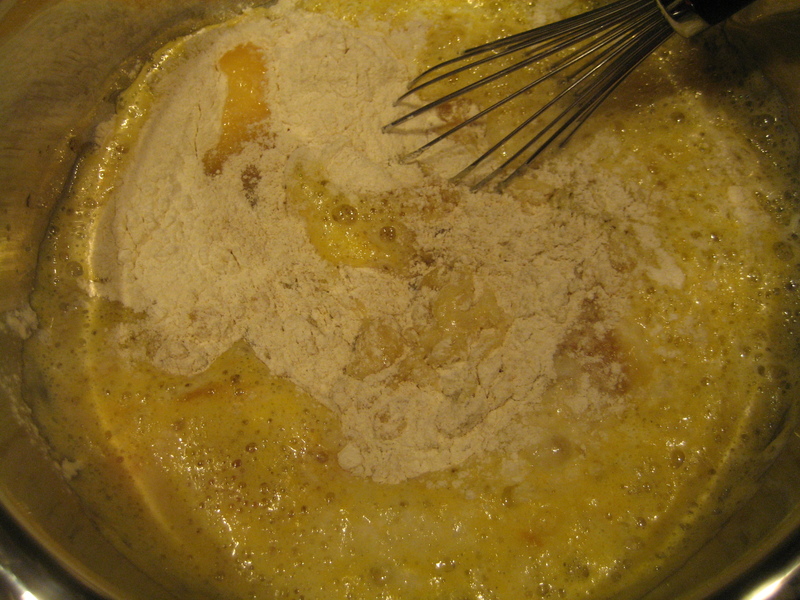 Beat the mixture until well mixed, then pour the batter into the prepared pan and bake for 40-50 minutes (until golden brown). 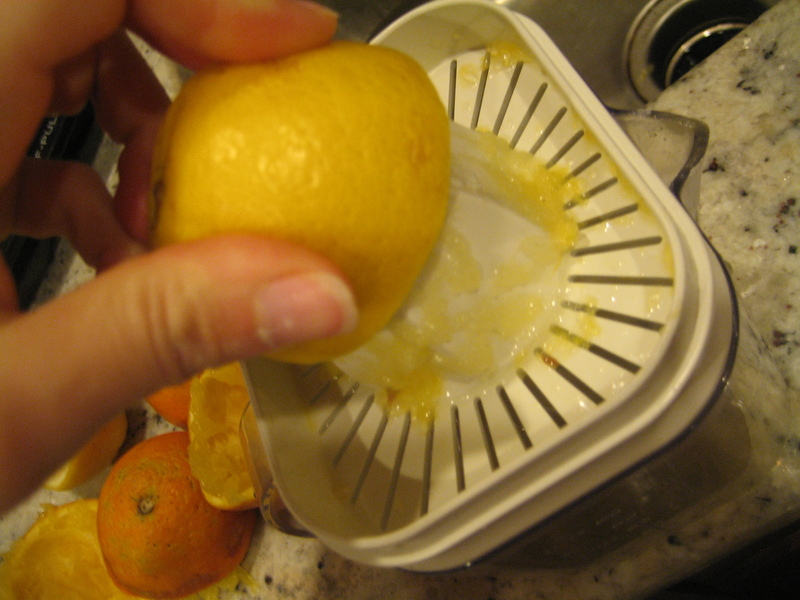 then loosen the edges and carefully turn out onto serving plate. 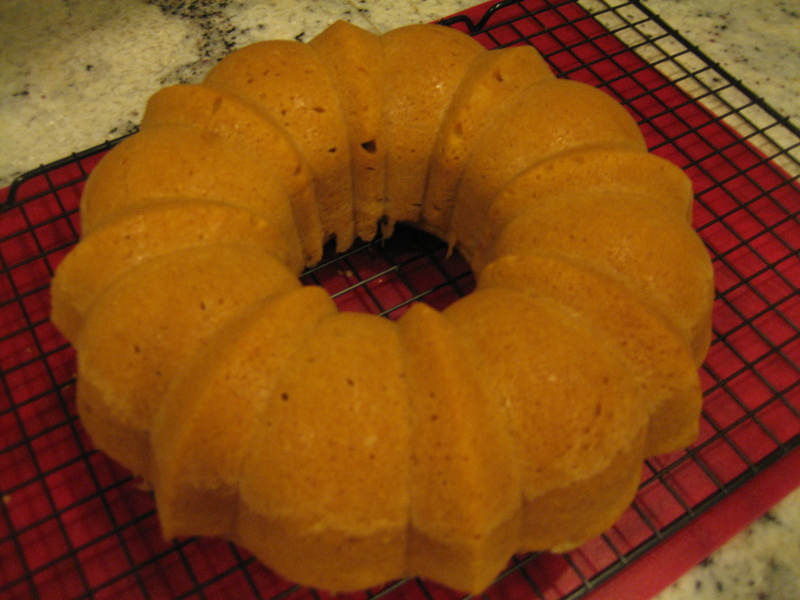 The original recipe serves this cake with a lemon glaze, however, I opted to do something different. I used the cake more as a Strawberry Shortcake base. I sliced some strawberries up and mashed them a little to get their juices flowing. 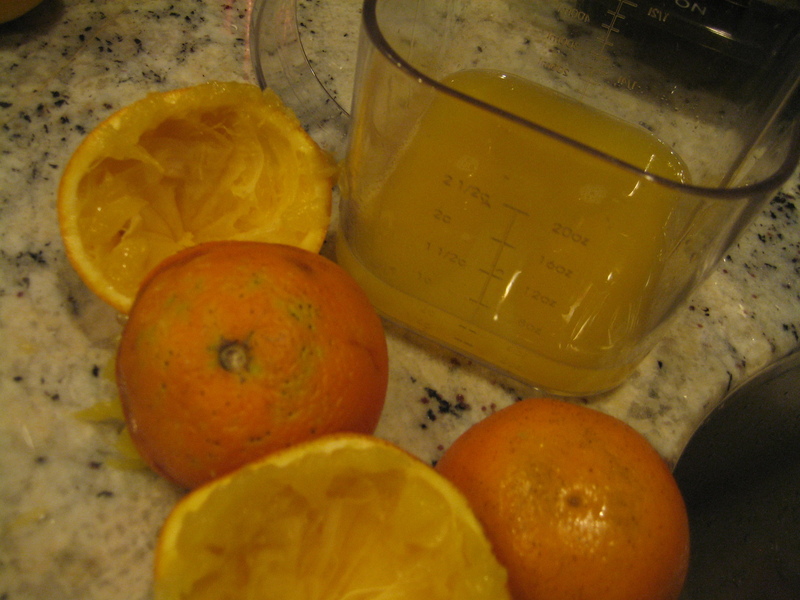 I added just a touch of sugar, and stored in the fridge for a few hours. Once dessert was ready to be served, we sliced the cake and served the strawberries and juice over it. 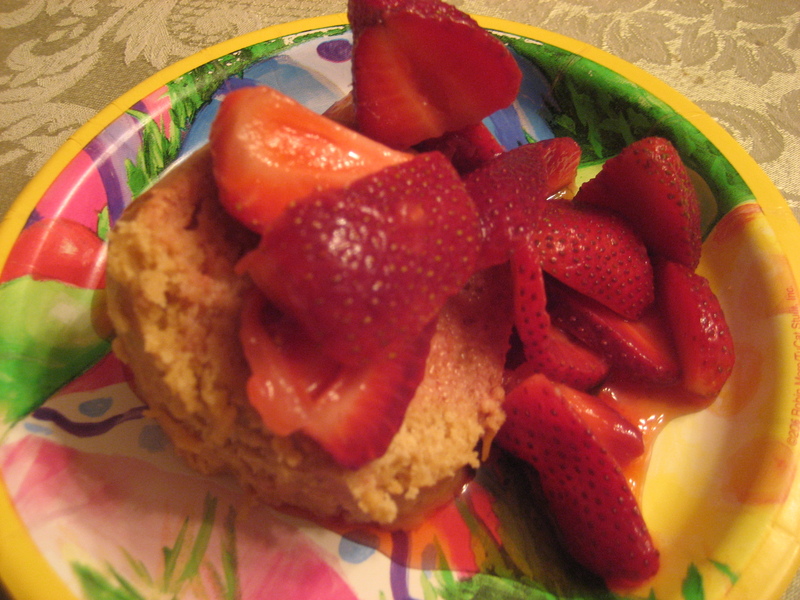 The strawberries were delicious, but the cake was not the best. It needs more of a lemon flavor! 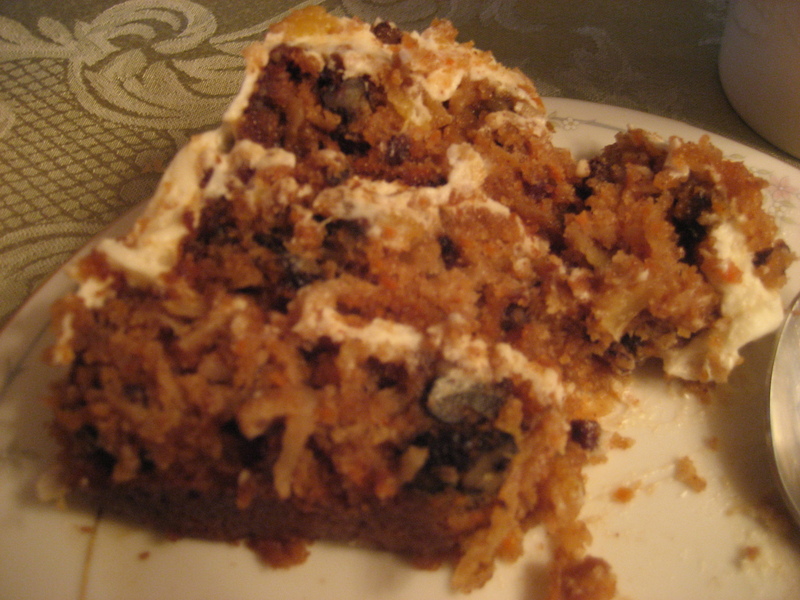 Good thing there was homemade Carrot Cake and Baklava for dessert. 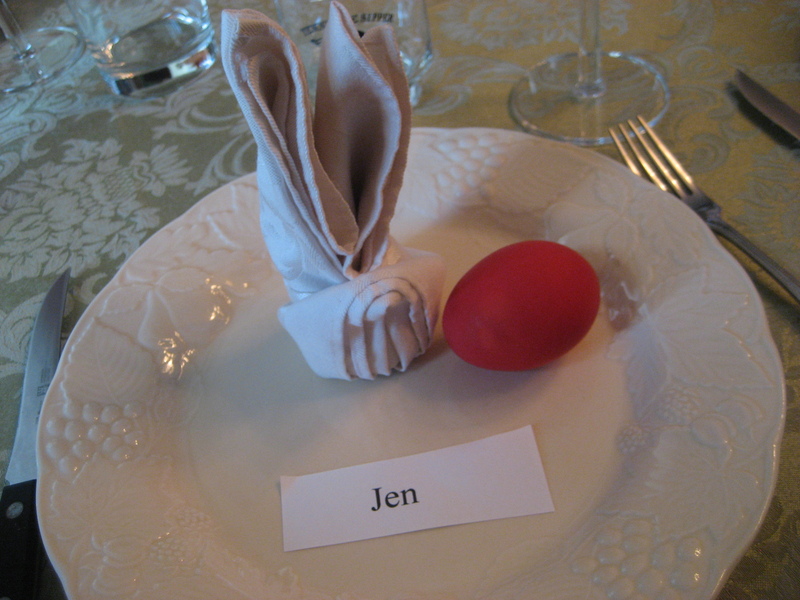 It was a delicious Easter feast!